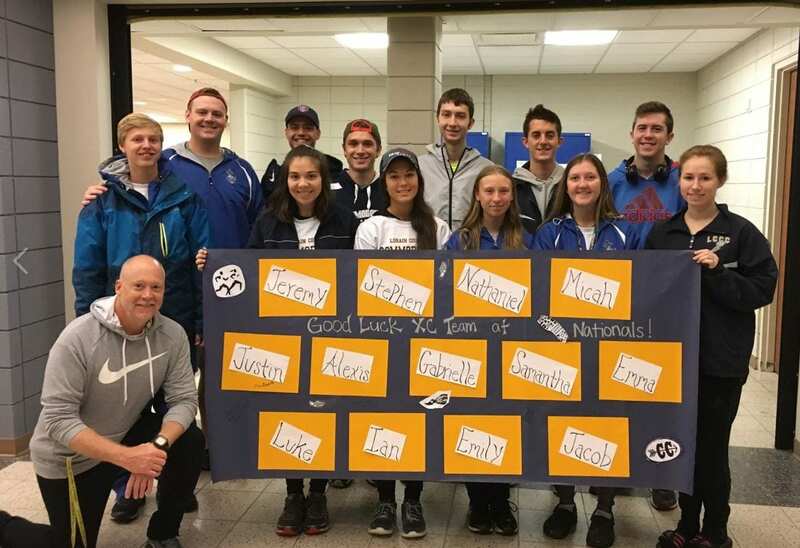 Members of the men’s and women’s LCCC Cross Country teams pose for a photo before leaving campus to go to Nationals. 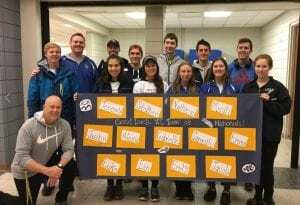 The Lorain County Community College Commodores competed in the NJCAA DIII Cross Country National Championship Meet in Westfield Massachusetts on Saturday November 3. The women’s team finished 8th overall, the third time in eight years that LCCC has had a top 10 finish at nationals. Gabrielle Post (Avon Lake) again led the Commodores, finishing in 26th place on a wet, muddy, rainy, windy day. The men finished 18th overall in a very competitive field – the men were only 36 points out of 10th place. Micah Swartz finished 9th overall to earn All American honors for Lorain County Community College.